Our Greyhound Grooming Combs were designed by groomers specifically to increase comfort and reduce the risk of injury. 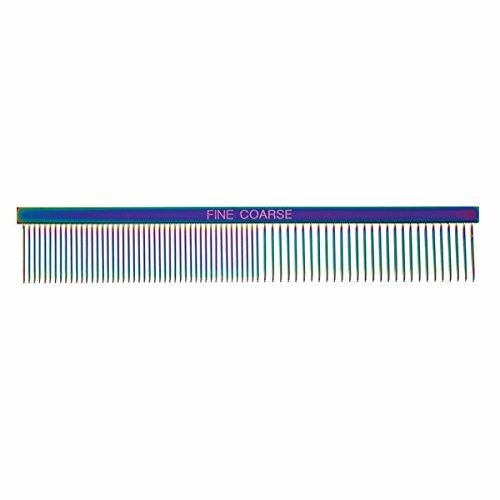 Versatile combs are an essential tool for fluffing, detangling, and removing dead hair from medium to longhaired dogs and cats.Hardened steel teeth are drilled into the solid brass steel-plated spine. Non-slip spine is contoured for a better grip and ease of use Face and Finishing Comb is the perfect size for working around faces, ears, eyes and hard to reach areas. Fashion Color Grooming combs are also available in 3 sizes. KAOSITONG Dog Dematting Combs - Grooming Undercoat Rake - Safety's 2 Sided Professional Grooming Rake - Removing Loose Undercoat, Tangles, Mats and Knots - Brushing and Deshedding.